Rent a new MONDEV apartment in the hippest neighborhoods in Montreal! 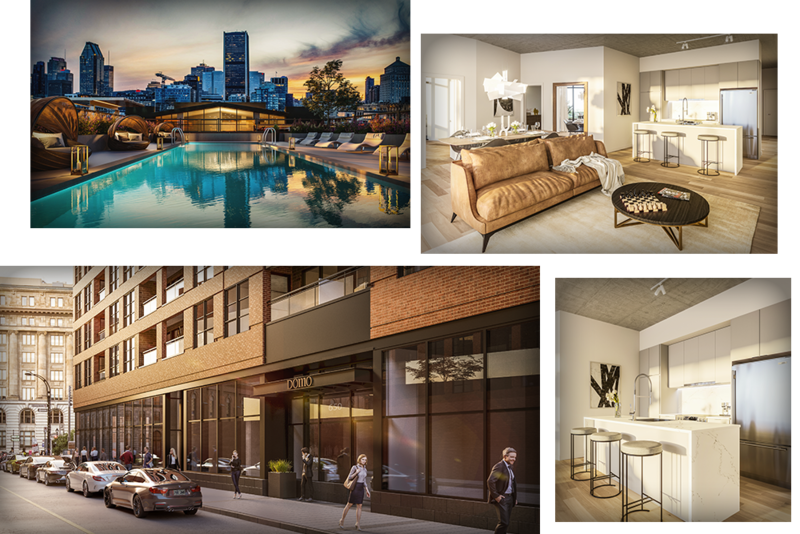 For over two decades, MONDEV has been developing real estate projects throughout the city of Montreal. We are determined to provide our clients with a wide selection of residential properties including new condos and rental apartments. Quality, excellence and client satisfaction will continue to be the essence of ongoing and future MONDEV operations. With us, you can buy or rent your next home with confidence. In Montreal’s South-West district, Griffintown, (once an industrial area), is now considered the most vibrant neighborhood in Montreal, bordering the beautiful Lachine Canal and walking distance to downtown Montreal. Living at Will & Richmeans living steps away from the most talked about restaurants in town: Joe Beef, Le Grinder, Macro, Le Richmond, all in close proximity! 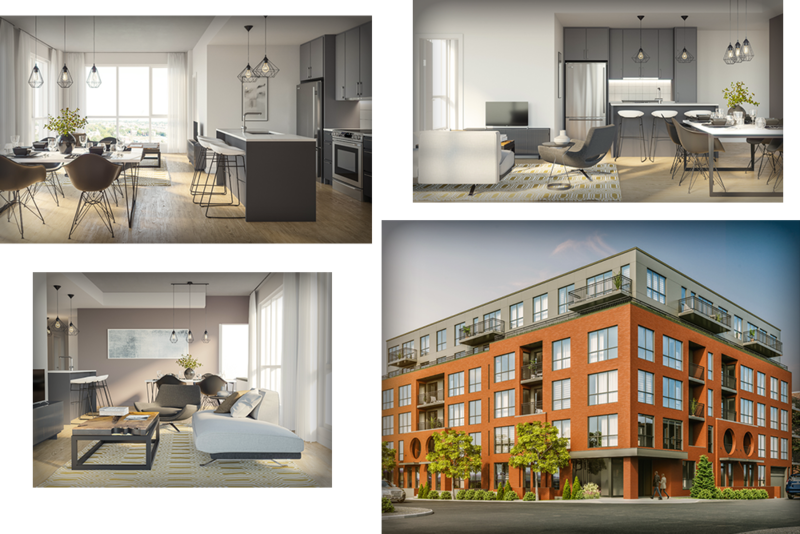 The Will & Rich project features 1- 2- 3 bedroom and studio apartments for rent on the corner of rue William and rue Richmond, fully equipped with stainless steel appliances and all utilities are included. Lounge on our rooftop terrace with pool, and workout at our fully-equipped fitness center. Steps from all services and public transportation, it’s no surprise that 80% of the units have already been rented! Common spaces and units designed by the renowned Atelier Zébulon Perron, recognized for their trendy and distinctive signature mark as seen in many of Montreal’s renowned locations (to name a few) such as the future Four Seasons Hotel, Un Po Di Pui, Ibérica and Pizzaziole. Also in the Sud-Ouest borough near the Atwater Market, you’ll find Wilcox Apartments on Dominion Street. Once an industrial area, many of the heritage buildings have now been converted into condominium apartments; preserving the architectural and heritage value. The modern common areas and unit interiors are once again designed by Atelier Zébulon Perron. Walking distance to the Atwater Market, a landmark since 1933, is open all year-round and hosts numerous events such as the Parcours Gourmand, Cabane a sucre, cocktail hours and beer tastings and more! The place to stop for all errands! Old Montreal is frequently visited by tourists from all over the world who are charmed by Montreal’s Old Port historic style with cobble stone streets, horse-drawn carriages and unique architecture. The Old Port offers something for everyone all year-round with attractions such as The Montreal Clock Tower, the Ferris Wheel, Marche Bonsecours, Art galleries and so much more. DOMO apartments are located at the corner of Wellington and King street. 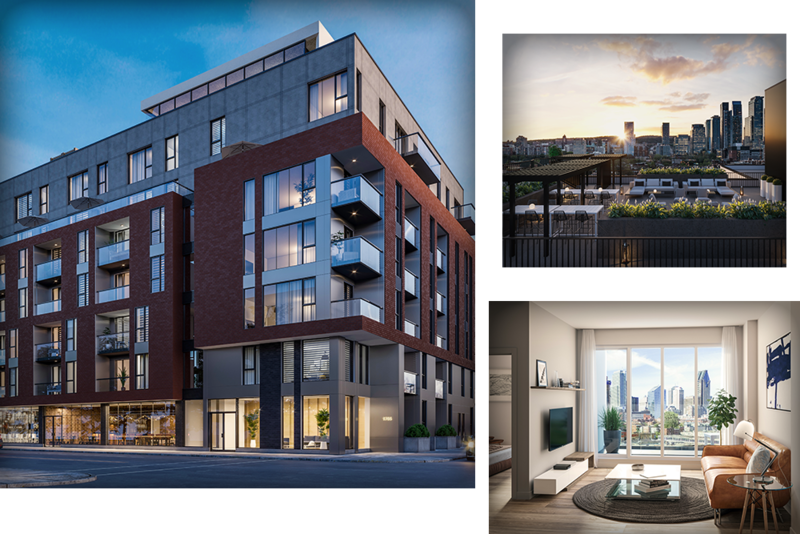 This 10-storey complex of 219 rental units with studio, 1 and 2 bedroom apartments are move in ready with a roof top terrace and elevated pool overlooking the breathtaking views of Montreal’s city skyline. A 5-minute walk from the Victoria Square -OACI metro station, the DOMO project is an ideal rental project in the Old Port. Come spend a wonderful day with us in Old Montreal. 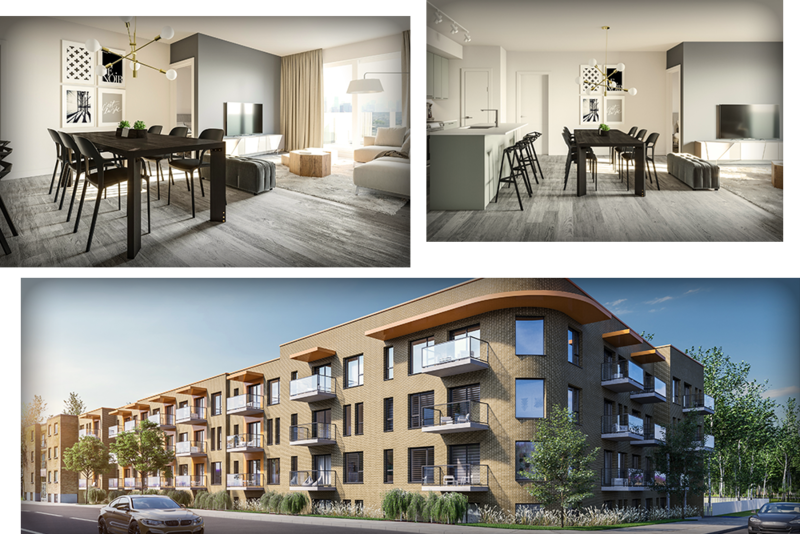 ALDEA Apartments is a 5-storey rental project of 83 modern studios, 1, 2 and 3 bedrooms condo apartments for rent on the corner of rue Sauvé and rue Lajeunesse in the Ahuntsic-Cartierville borough. At ALDEA,one can enjoy the neighborhood and services all located within walking distance. Located just steps from the Sauvé metro station, public transportation, schools, sport complexes, all easily accessible from the Ahuntsic train station, Autoroutes 15 and 40. Surrounded by three community parks, the project enables a lifestyle where cultural and sporting activities thrive. East of the project, Marché Central, Rockland Shopping Centre and its various businesses are a plus that simplifies one's daily living. Ahuntsic-Cartierville is the cozy neighbourhood close to everything. When considering a home, it is key that you select an area that suits YOUR needs. The four neighborhoods presented are great with their own unique charm. Spend some time in each neighborhood; take a stroll, go for a bike ride or dinner to experience the neighborhood. Don’t forget to look at our 12 rental projects. Our projects are renting quickly! Hurry and don’t delay! Book an appointment with our rental agents, it will be our pleasure to assist you in finding your new home.